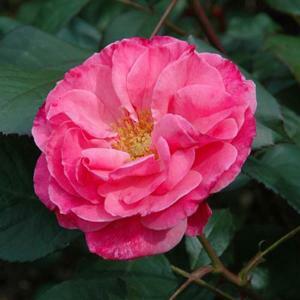 Cluster flowered bush rose. Shapely flowers of candy pink. Glossy dark green foliage.